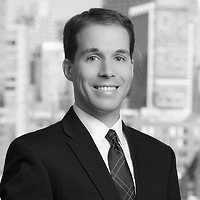 Rory P. Pheiffer, a partner in Nutter’s Intellectual Property Department, and Heather Repicky, a partner in the firm’s Litigation Department, were quoted extensively on proposed changes to patent laws, featuring a two-year timeline for scheduling of trials for disputes over the infringement, validity, or enforceability of patents in Mass Lawyers Weekly. In the article, “Patent Bar Gives Proposed Local Rule Positive Reviews,” Rory, who serves as president of the Boston Patent Law Association (BPLA), noted that the District of Massachusetts is not among the most active federal courts in terms of patent litigation despite being in the heart of one of the country’s most vibrant regions for technological innovation. “Because the District of Massachusetts is traditionally one of the slower courts for patent cases to move through, there’s an interest in trying to speed things up, which in turn would hopefully drive more cases to be filed here,” Rory pointed out. 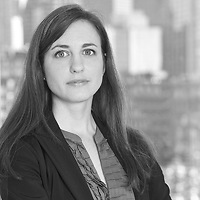 Heather, who is taking the lead in drafting comments on the proposed changed on behalf of the BPLA, said that there appears to be a consensus forming among members of the patent bar recognizing the need for more certainty as to when judges issue their Markman decisions. “It’s going to be difficult to impose an actual time limit for when the court issues its Markman order. I think we’re going to get pushback from the bench on that,” Heather stated.